You can be forgiven for thinking that you don’t need to give a hoot about what’s going on in Cyprus this weekend. After all, it’s just a little island somewhere in the Mediterranean. But what’s going on in Cyprus could actually matter–not just to the rest of Europe, but to the rest of the world. Cyprus’s banks, like many banks in Europe, are bankrupt. Cyprus went to the Eurozone to get a bailout, the same way Ireland, Greece, and other European countries have. The Eurozone powers-that-be gave Cyprus a bailout–but with a startling condition that has never before been imposed on any major banking system since the start of the global financial crisis in 2008. The Eurozone powers-that-be (mainly, Germany) insisted that the depositors in Cyprus’s banks pay part of the tab. The depositors. The folks who had their money in the banks for safe-keeping. When Cyprus’s banks reopen on Tuesday morning, every depositor will have some of his or her money seized. Accounts under 100,000 euros will have 6.75% of the funds seized. Accounts over 100,000 euros will have 9.9% seized. And then the Eurozone’s emergency lending facility and the International Monetary Fund will inject 10 billion euros into the banks to allow them to keep operating. Cyprus’s government tried to explain this deal by observing that it was better than the alternative: Immediate bankruptcy and closure of the major banks. In that scenario, depositors would lose a lot more of their money. Businesses would go bankrupt. And tens of thousands of people would be instantly thrown out of work. But, still, not surprisingly, news that deposits in Cyprus’s banks would be seized triggered an immediate run on the banks. Depositors rushed to ATMs and tried to withdraw their money before it could be seized. But the ATMs weren’t working. And the government has now made it impossible to transfer money out of the country. So, assuming Cyprus’s government approves the deal (still pending), depositors will have some of their money seized on Tuesday morning. Now, half of these depositors are said to be Russian oligarchs and other non-residents. And unless you happen to have the misfortune of having an account in a Cyprus bank, you may not care much whether these depositors have their money seized. After all, that was the risk they took for storing their money in bankrupt banks, right? Well, yes, that was the risk they took. 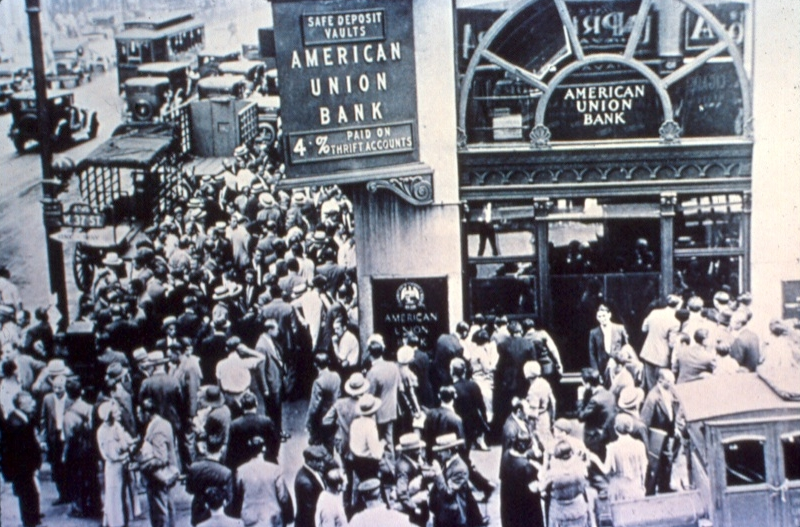 But ever since the Great Depression wiped out a big percentage of the world’s banks, vaporizing the bank depositors’ savings in the process, banking system regulators have tried to do everything they can to protect bank depositors. And they are smart to do so. Because the moment depositors think that there is risk to their savings, they rush to banks to yank their money out. That’s called a run on the bank. And since no bank anywhere has enough cash on hand to pay off all its depositors at once, runs on the bank cause banks to go bust. That’s what happened to hundreds of banks in the Great Depression. And it’s what happened to Bear Stearns, Lehman Brothers, and other huge banks during the financial crisis (though, with Bear and Lehman, the folks who yanked their money out weren’t mom and pop depositors but other big financial institutions). It’s what threatened to bring the entire U.S. financial system to its knees. And it’s why the US and European governments have been frantically bailing out banks ever since. But now, thanks to Eurozone’s bizarre decision in Cyprus, the illusion that depositors don’t need to yank their money out of threatened banks because they’ll be protected has been shattered. Depositors in Cyprus banks will lose some of their deposits. They will be furious about this. And they will, rightly, feel that it is grossly unfair–because depositors in the bailed-out banks in Ireland, Greece, etc. didn’t lose their money. And they will feel like fools for not having taken their money out. Other depositors at weak banks all over Europe, in places like Spain, Italy, and Greece, will rightly wonder whether this is the beginning of a new era of bank bailouts, an era in which bank depositors are going lose some of their money. What do you think those other depositors in Spain, Italy, Greece, etc., are going to feel like doing when they realize that, if their banks ever need a bailout, they might have their deposits seized? They’re going to feel like yanking their money out of their banks. And if some of them yank their money out of their banks, well–then the financial condition of those banks will go from weak to insolvent. And the banks will go rushing to their governments and the Eurozone for help. Well, then, a good portion of Europe is going to suddenly experience a good old-fashioned bank run. That, to put it mildly, could be a disaster. It could bring the European financial crisis, which has lurched from one flare-up to another for most of the past five years, to a rather sudden head. How much would it cost for the powers-that-be to bail out all of Europe’s weak banks at once? More than the Eurozone has in its emergency lending facilities, certainly. And more than the International Monetary Fund has on hand. So the U.S. would probably have to get involved. And, regardless of whether the U.S. needed to get involved, the European economy would likely suffer the equivalent of a heart attack. That wouldn’t be good for the U.S. economy. Or any other economy that sells things to Europe. 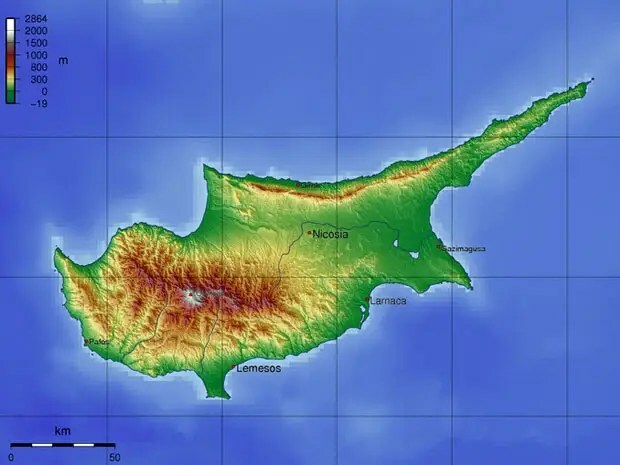 So, you can see, this little decision to seize a little money from bank depositors in the little island of Cyprus could be a much bigger deal than you think. It could conceivably precipitate a run on weak European banks. And a run on weak European banks could hammer the European economy and then the economy of Europe’s trading partners. And it could cause global markets to crash. So keep an eye on what’s going on over there in Cyprus. It’s potentially much more important than it seems. This entry was tagged economy. Bookmark the permalink.